One would think that a Google app would get new features and improvements on Android before iOS, but that's not always the case. YouTube for iOS received an update last year that would allow the app to adapt to the shape of the video you're watching. 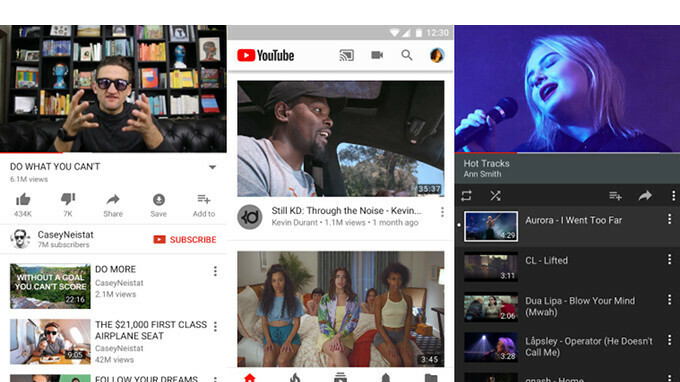 The feature was not rolled out to Android devices at that time, but Google's YouTube announced this week that its dynamic player for square and vertical video is now available to Android users. Basically, the application will now fill the screen with the video you're watching and remove the black bars that were appearing until now. It's a neat improvement that brings the YouTube for Android on par with the iOS version. In the same piece of news, YouTube confirmed once again that the long-awaited dark mode will arrive on Android very soon. The new feature was launched on iOS two weeks ago, but Google said Android devices will get the dark mode as well at some point. So cool that YouTube developers make iOS owners their first choice for pushing out important updates. Generally all google apps get updated first on iOS and the on android. I don't know when people like you will understand that google apps been developed separately .. And developing an app for IOS is much faster than Android. There you are, I was waiting for you, someone that can take a simple comment like mine in to something passive aggressive like you did.... “people like you” are indeed needed in this forums.... have a good one mate! Maybe because IOS is easier to develope on and far fewer models to ensure compatability. It's not YouTube giving IOS preferential treatment, it's just less work thats all. Has a normal app developer I will totally understand your point, but when you have an entire operative system then it’s a little less acceptable. Cheers. Android hasn’t had this for all this time? ?